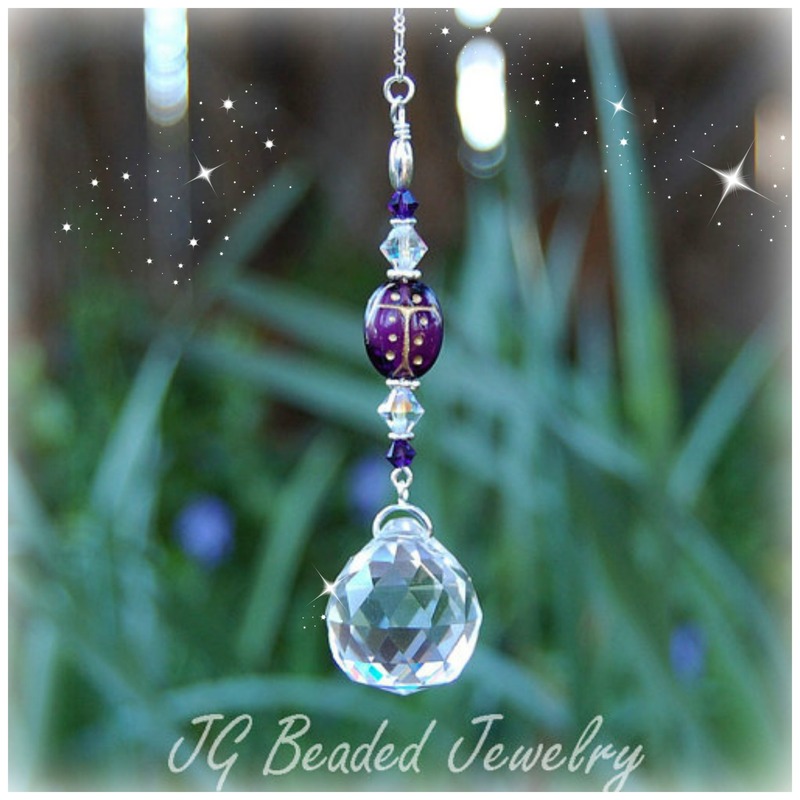 This purple ladybug crystal decoration can be hung on the rearview mirror or in a window. It is designed with a cute purple ladybug glass bead that has gold accents. 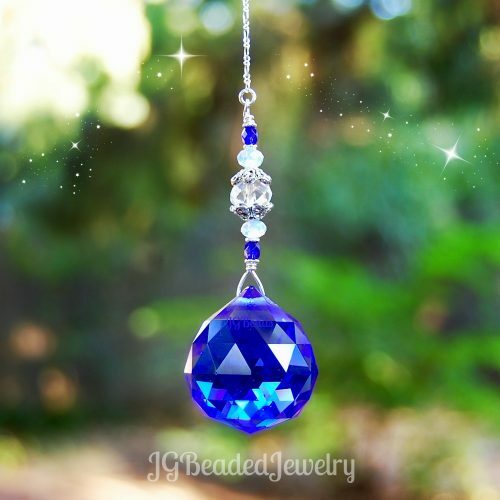 The crystal decoration is wire wrapped with gorgeous deep purple and iridescent Swarovski crystals, and fancy silver beads. 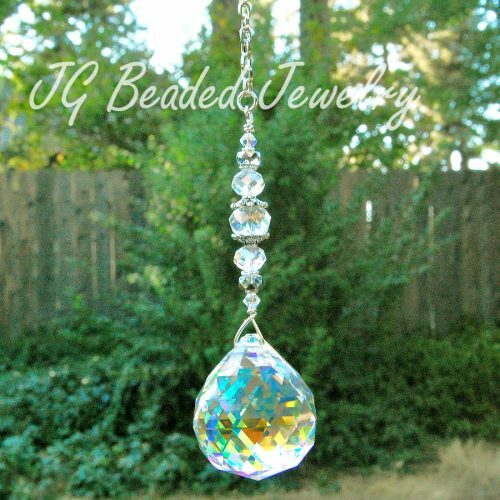 The prism crystal is 20mm (approximately 1″ long and 7/8″ wide) and hangs on a silver bail – it is a nice size for the rearview mirror as it is not too big or heavy. 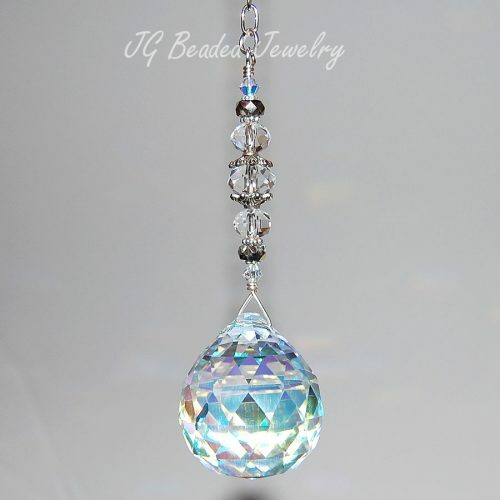 Length of the ladybug crystal decoration is approximately 3 inches and comes on a silver chain with a clasp (for ease of hanging on the rearview mirror) or a 6″ chain with ring for ease of hanging in a window or wherever you choose!